After your pick up, we will begin the day with beer tasting at Newstead Brewing Co where you’re encouraged to sample all the core range of beers on tap – plus maybe a few seasonal or one-off beers. Your guides will take you through beer ingredients, including some witty, historical commentary, and enlist a brilliant Newstead team member to walk you through the brewery and explain the complete brewing process. Like what you’ve tasted? Grab a couple six-packs or purchase a growler to fill and refill with your favourite beers from Newstead Brewing Co.
Moving into the shadows of Queensland's iconic XXXX Brewery, we visit the funky and unique Aether Brewing, where we introduce you to their range of craft beers plus maybe a few guest brews that may be pouring on the day. Leaving here, we begin the 45 minute drive to 4 Hearts Brewing at The Pumpyard. Here we will get out and stretch our legs, then have a tour of the brewery. Located within the walls of an historic building and with glistening metallic tanks you can reach out and touch, Wade Curtis (the owner) has trademarked the “stainless steel selfie”, so grab a picture to share with your friends! We will enjoy a delicious lunch here after a refreshing tasting paddle of 4 Hearts' wide range of beers, with top-quality produce to match the fine brews on tap. If the weather's nice we can grab a seat outside or sit in a private eating area within the historic walls. A short drive back toward Brisbane sees us visiting White Lies Brewing Co in Sumner Park. One of the smaller breweries we visit today, we will have the chance to chat with owner/head brewer Lee "Smiley" McAlister and taste what he has on tap. Finishing at Ballistic Beer Co, housed in an old WWII munitions factory, we get the VIP treatment with seats on the brewery floor as we kick back with four final tasters. 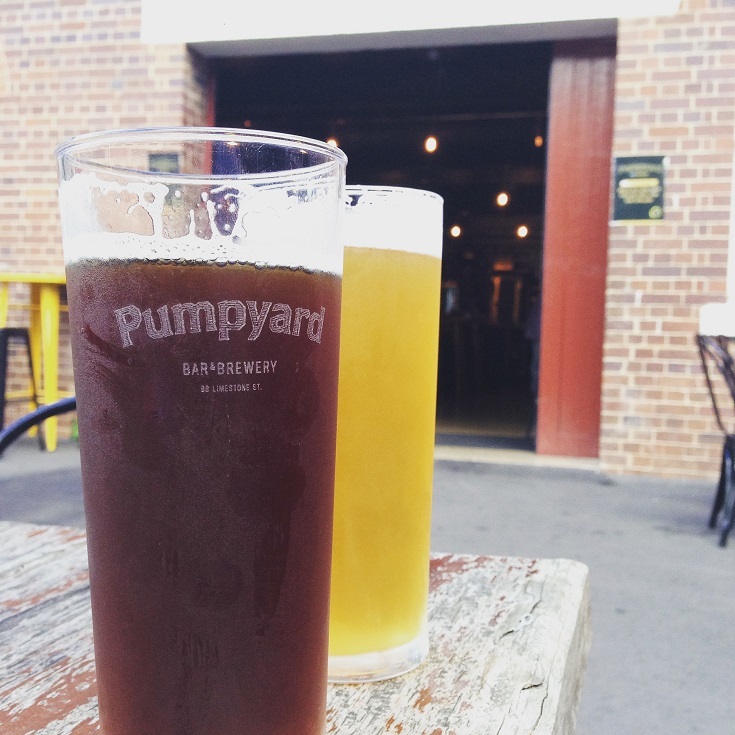 Once the tour has come to a close we will drop you off at one of our partner pubs in Brisbane where you can keep drinking delicious beer to your hearts’ content. Don't forget to bring a photo ID with you. Stricly no drinking on the van. We encourage lots of photos during the day!